Za budno tijelo i mozak. For the awake body and brain. 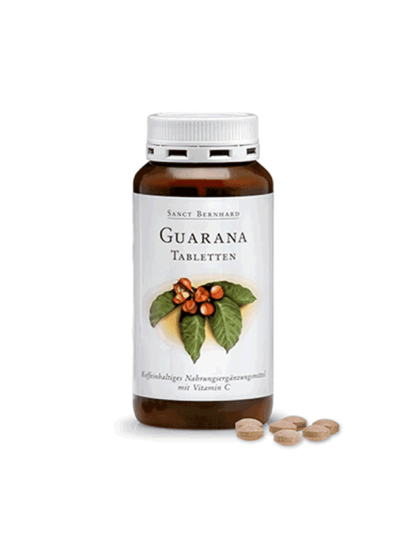 Contains Vitamin C and magnesium that contribute to fatigue and fatigue reduction Guarana works refreshingly and shrewdly for several hours. Guarana is a plant painter in the South American tropical forests of the Amazon. Seeds of these red fruits have been priced since the caffeine content for centuries. The caffein from the guarana is slowly released into the body. 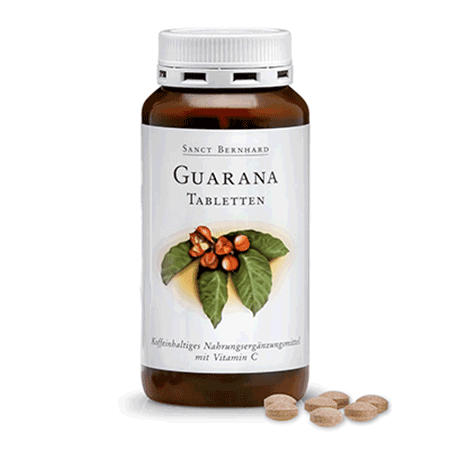 In this way, the guarana acts as a stimulant for several hours. Drink 1-2 tablets three times daily (3x) with enough fluid, along with food. Dry and dark at temperatures up to 25 ° C.
Use before date marked on the product.